This is your money. No-one will look after it as well as you. The primary way in which I am able to help clients is to show them that it is not difficult to “PAY ATTENTION” and that if they learn to do so the confidence in, and understanding of, their investment/pension planning will rocket and results will improve. Asking the questions which will help you understand your financial and personal aims & objectives and whether your existing plans are in line with those objectives. Explaining why the traditional financial services world has failed so many clients, why costs/fees have rocketed over recent years, and how switching to one of the online services may be the answer. Introducing you to one of the online services such as Hargreaves Lansdown and showing you just how user friendly it can be. Helping you understand more about your existing plans and how to find out if there are any good reasons for leaving them where they are. Showing you what the costs/fees are with your existing plans and what savings are available online. Guiding you through the new account establishment process (once you have decided if a switch of provider is in your interest) and then linking your account to mine so that I can monitor progress for you. Guiding you though the plan transfer process. This is normally very straightforward. Monitoring the transfer process and ensuring a successful outcome. Helping you utilise the online guides to develop an ongoing investment implementation and monitoring strategy. This very straightforward and not as frightening as many people think. Guiding you through the implementation process and monitoring progress. Ensuring you have a workable and straight forward monitoring process in place. The extent to which clients want to monitor investment returns varies greatly. In many cases taking a look every 6 months is totally adequate. Once everything is online, you can log in and get valuations easily. Guides, calculators, investment commentary, etc are all available. Virtually every client tells me once they have reached this stage it really feels like their money, they now know how to “PAY ATTENTION” and they have much more confidence in their financial planning. Whether you are drawing from your pension plan, are approaching retirement, or just starting on your financial planning The Investment and Retirement Coach programme can provide the support you need. 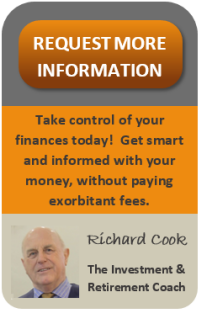 It really does depend just how simple or complicated your existing financial planning is. An exploratory meeting is entirely without cost. By the end of that meeting we will be in a position to agree a fee for the initial work. The initial cost should be less than the annual cost of your existing plans. Some clients require an ongoing guidance service for which they pay a monthly retainer but others are confident enough not to need ongoing support. The choice is yours. The starting point is a simple as a 20 minute telephone conversation during which we will discover if this is for you. Some clients will still need the services of a regulated financial adviser. If that is what you need I will help you find a suitably experienced and qualified adviser. Do please read the Important Information below. 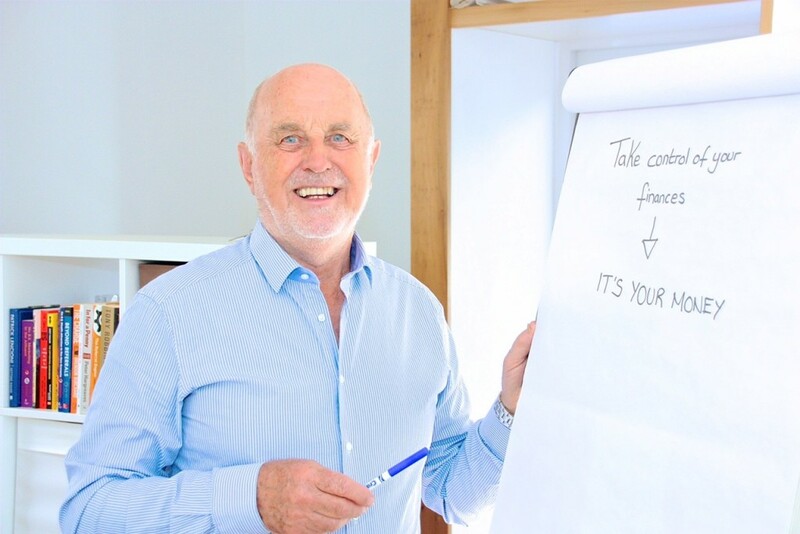 When we chat I can explain in more detail the differences between regulated financial advice and the guidance services provided by The Investment and Retirement Coach programme. Just pop your details in the “request more info” box at the top of the page, or give me a buzz at a time that suits you on 07770 575122.